Disruptions can happen to any industry anywhere in the world, which is why this year TechCrunch Disrupt is going global. The conference we launched last year in New York and San Francisco is coming back to both cities, but we are also adding a third Disrupt in Beijing. All three conferences will be filled with all-star speakers, the best new startups that launch on our stages, and the coup of working WiFi. 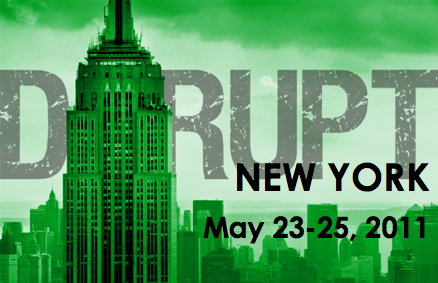 The first Disrupt will once again take place in New York City on May 23-25, preceded by our ever popular Hackathon on May 21-22 in which pizza-fueled developers gather to hack together a product in 24 hours. Anything can happen at these events. 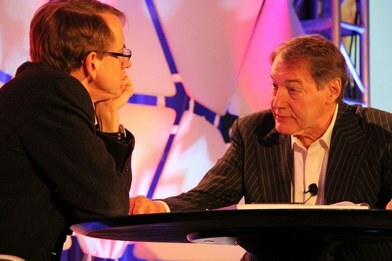 Last year, Charlie Rose kicked off the event by interviewing legendary VC John Doerr, Yahoo CEO Carol Bartz told Michael Arrington to “#@*k off,” and a real company emerged from the Hackathon—GroupMe, which later raised $10.6 million. During the main event, we launched two dozen startups, and the winner was an international startup, Soluto. That told us something. Disrupt San Francisco will take place in September. And yes, you saw that right, we’re heading to Beijing, China for TechCrunch’s first international Disrupt at the end of October. Specific dates to be announced shortly. TechCrunch has long been a blog that covers more than just the Silicon Valley echo-chamber and in the future we want to be anywhere top entrepreneurs are building companies. It’s hard to think of any place more exciting, challenging and lucrative than China right now. As home to the world’s largest Web audience and two of the five largest Web companies in the world, China proves the best Web entrepreneurs are no longer all in Silicon Valley. We’ll we working with Kai-Fu Lee’s Innovation Works to bring it all together. And just like in New York and San Francisco, we’ll have a Hackathon, lively onstage debates showcasing big names from both Silicon Valley and China, and a Battlefield startup competition. So mark your calendars and save the dates. Applications for Disrupt New York are now open. If you’d like to become a foundational part of the Disrupt experience and learn about sponsorship opportunities, please contact Jeanne Logozzo or Heather Harde for more information. Speaker inquiries, please submit here.